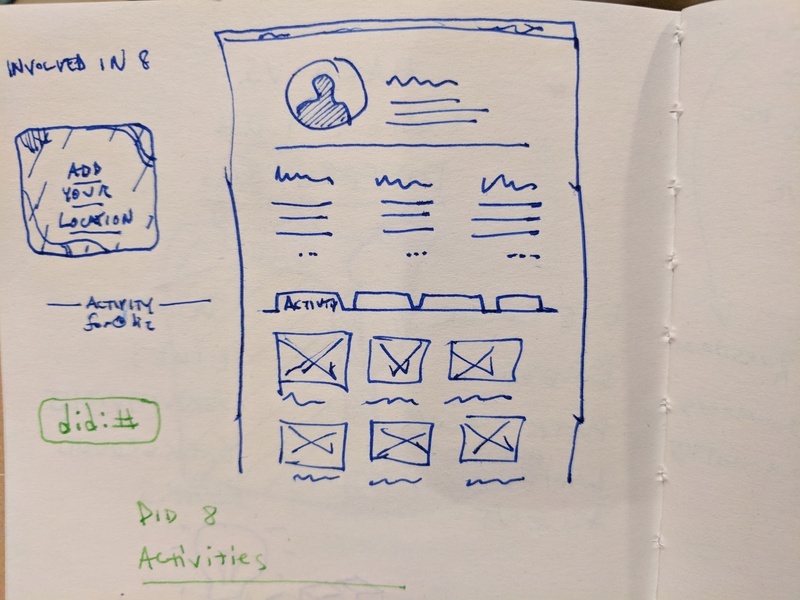  Public Lab: How do we do user interface design work in a community process? Question: How do we do user interface design work in a community process? get up to speed on design conventions and our "style"
...all working in a small, modular workflow, rather than taking on massive bespoke design projects! Read more about that here. I'll paste the notes I took from this discussion below. Thanks to the whole Autodesk Pro Bono team! Our discussion covered a lot of topics! @liz @stevie this is great stuff for planning out how we'll engage design contributions. How do we do this on design? It's hard to do without the big view. Cohesion, unified. Not a design czar. Small design committee, to own the cohesion goal? Style guide. Principles for smaller design conventions. When to say "let's start over with some sketches!" What's set in stone. What's out of scope? Lots of context needed! It takes time getting ppl caught up if they're new to the site! Coders don't need the "onboarding" context as much -- not as existential. What's the raw data to work with? Eval team reports? Interviews or user studies to browse through? What's the Wikipedia article about Public Lab? We're not trying to revisit the fundamental tenets -- but here are areas where we need work! This is what's up for grabs. A process: "when we do design, we'd like to see artifacts A B and C -- a workflow convention. Cool to have a place where you provide the starting ingredients for a designer. LUMA technique about stakeholder mapping -- where could a designer dig into existing information like this? Relate to yearly survey process! "Design modules" idea -- widgets to display groups of people, maps, graphs, design elements that recur a lot. A design vocabulary rather than page-based designs. Engage a group of people to reflect on and respond to a design on a cycle. A way to do a quick feedback cycle on a design idea. Feedback on style conventions too -- colors, styles, fonts. The "look". This should be part of the style guide! It was written in one github issue and illustrated in another that "a consistent 3-column "at a glance" display" is a style we are trying to establish. We are striving to create design practices that center those who stand to be most adversely impacted by design decisions in design processes. We work to challenge the ways that design and designers harm Indigenous peoples, communities of color, poor and working class people, the sick and disabled, migrants, LGBTQ people, women and femmes. We use design to imagine and build the world we need to live in — one that is safe and just. We do this by producing work that is based on shared principles of design justice, by growing our international network of design practitioners and advocates, creating critical publications, and curating exhibitions. It's a bit of a mess, but Google Presentations is not a terrible environment to do highly-collaborative mockups.